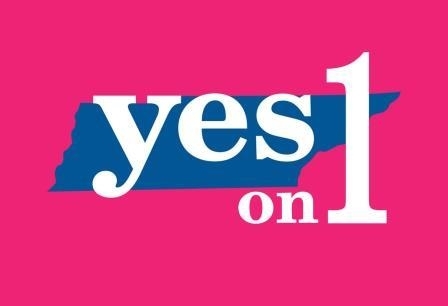 For most Tennessee voters, pro-life Amendment 1 was decided on November 4, 2014, when it was approved 53-47%. But several days later former Planned Parenthood board chair Tracey George joined 7 other pro-abortion activists in filing a legal challenge in federal court . They were contesting the manner in which the state tabulated the votes and claimed discrimination against pro-abortion voters. In April 2016, then- U.S. District Court Judge Kevin Sharp agreed with Planned Parenthood and ordered a recount of the votes. In his ruling, Sharp threatened to throw out the votes of those Tennesseans who chose to cast a vote on Amendment 1 but not in the governor’s race between pro-life incumbent Bill Haslam and Charles Brown. Appealed by the Tennessee Attorney General, the case ultimately made its way to the U.S. 6th Circuit Court of Appeals which heard oral arguments in August of 2017. Tennessee Right to Life and YES on 1 coordinated a “friend of the Court” brief containing the signatures of 8,850 Tennesseans urging the court to uphold their votes on the Amendment. Planned Parenthood activists immediately sought a re-hearing of the case before the full 6th Circuit which rejected the request. Now Tennessee’s pro-abortion leaders are asking the U.S. Supreme Court to take up their challenge of the people’s pro-life vote on Amendment 1.